January 2013 – Our ARG 2013 Calendar is still available to purchase – but only a few left. It’s been very popular and loved by many. 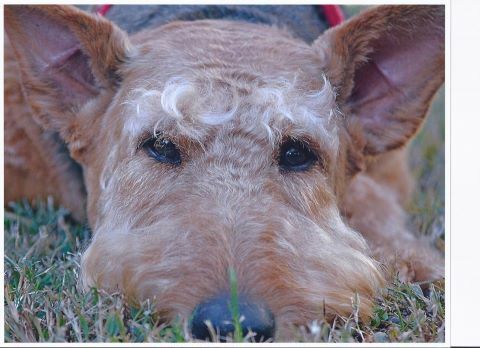 Please use the link below, or contact us at info@airedalerescuegroup.com about purchase!This is Bagel, fiercely loved and on our 2013 Calendar! Shop online today. Help ARG move one more dog to safety. Buying a calendar moves us one step forward to covering a pull fee, neuter or spay fee, vaccination fees. YES EVERY DOLLAR goes directly to helping a needy Airedale. Buy your calendar at http://greyhoundbooks.com/rescue/ Click on the left nav bar where it says BUY THE 2013 ARG CALENDAR. Do it today! !